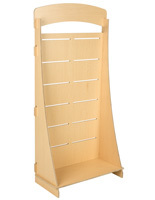 What is the most popular display system for storing and displaying products? 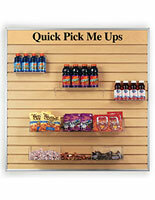 Slatwall merchandising fixtures feature the simplest of designs with endless flexibility. These store fixtures have been in use since the late 1970s when they began to replace traditional pegboard. 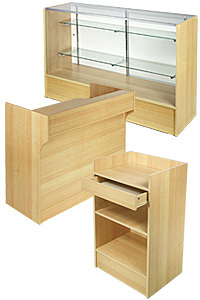 Almost instantly, retailers recognized its versatility and superior decorative qualities that further enhanced their merchandise. 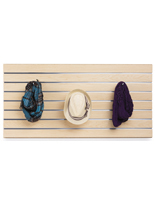 Now a mainstay of the industry, slatwall merchandising fixtures are available in numerous sizes and wood-like finishes, namely maple. 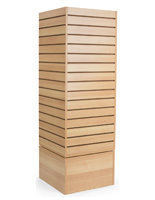 This wood-like finish adds warmth to your store's interior without being too dark. 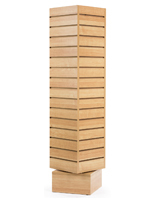 While all the slatwall models offered here feature the same matching maple finish, the variety of options provides the buyer with several choices on which to display their products. Standard floor models that display the most amount of merchandise are the gondolas. 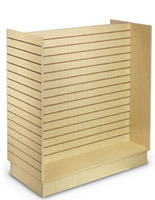 Their "H" design features four-sides of shelf and hook space. 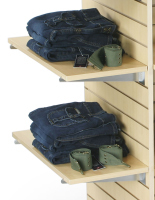 Shelving is good for folded garments, small boxes, and other bulky items. 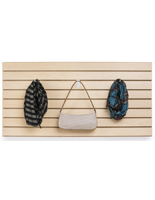 A vast selection of hooks and hangers provides the best way to display blister packs, clothing accessories, or any product designed with a hook for hanging. 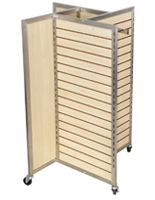 Also included in the line are floor racks with upright panels with two or four sides. 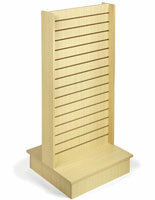 The rotating tower is the go-to choice for keychains, necklaces, and bracelets. 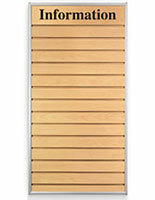 Our wall mounted slatwall panels come framed with satin silver aluminum for a finished appearance. 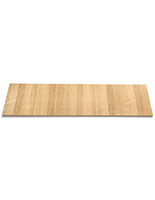 The top section comes with a custom text header of your choosing, making the wall panels unique to your establishment. 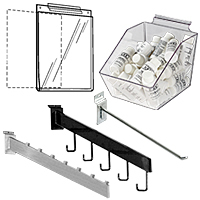 We also sell a large variety of slatwall hanging accessories, including shelf supports, shelving, hooks, faceouts, bins, and baskets. All add-ons are standard and designed to fit into the channels on every panel.